Back in Colorado, I loved teaching an après-ski rolling class. We got our sore bodies moving in a gentle flow, groaned our way through rolling around on tennis balls, and then ended with some juicy hip holds. I’m so excited to be leading a similar class this Sunday at Flex & Flow, minus the skiing, of course. 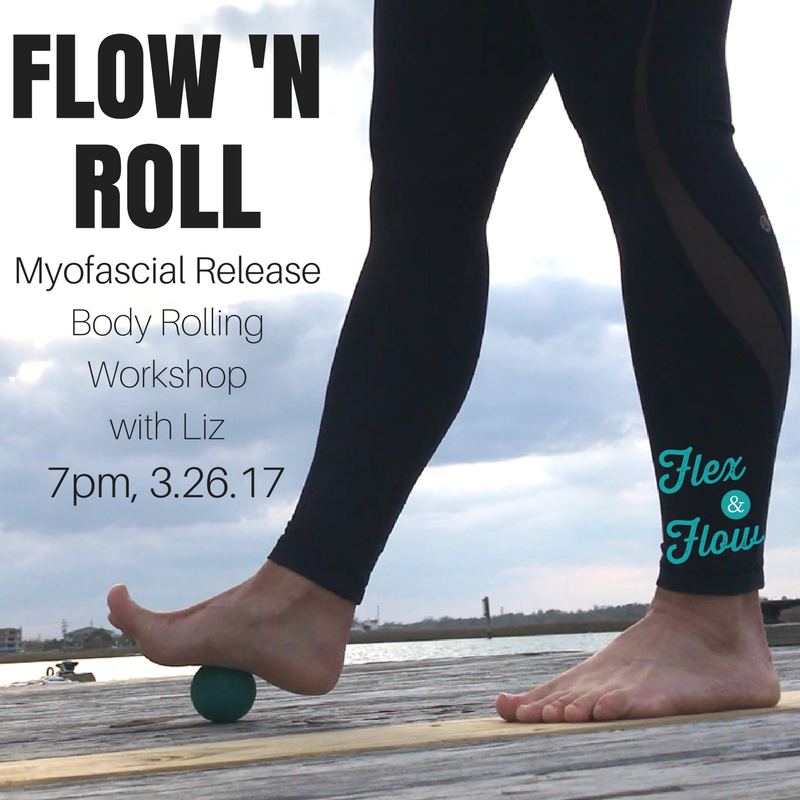 This Sunday at 7am, we’re getting our Flow ‘n Roll on! So why exactly will we be rolling around on tennis balls? That’s the myofascial release part! All of our muscles are encased by a layer of fascia. As we move and go about our lives, as we use our muscles in any and all capacities, those layers of fascia rub together and get stuck. The only way to release those stuck layers is through friction, like deep tissue massage. Or body rolling! I do love a foam roller, which has a wide surface area and is perfect for rolling my quads and IT bands out. But the beauty of a tennis ball is that the apex point is smaller. That means you can pinpoint the tension and really get in there for release! So this Sunday, we’ll be gently flowing to get warm, rolling sporadically throughout the flow to release some deep tension, and end with some of those juicy holds. Sign up here! The only thing you’ll need is a ready laugh, because we’ll be saying “balls” a lot. Giggles will happen. I could use that myofascial release! I’m really sore from my adventure filled week!